From the dizzying excitement of the Witchís Ride to the serene beauty of the childrenís Evening Prayer ... a truly enchanting opera. 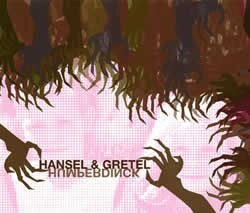 The Grimm Brothersí tale, Hansel and Gretel, is brought vividly to life by the music of the nineteenth-century composer Engelbert Humperdinck. The opera magically evokes the contrasting worlds of the story from the daily struggle for survival of an impoverished family to the natural world of the forest ñ both idyllic and full of danger ñ and to the supernatural realm of the Sandman, the Dew Fairy and, of course, the Witch. All this is tied together by a golden thread of melody that weaves its way through the score. With Opera Northís Music Director Richard Farnes conducting one of his favourite scores, and a simple staging that will relate the story clearly and directly, this promises to be a truly magical evening. Performance lasts approx. 2 hours 15 minutes. Suitable for anyone aged 10 upwards.